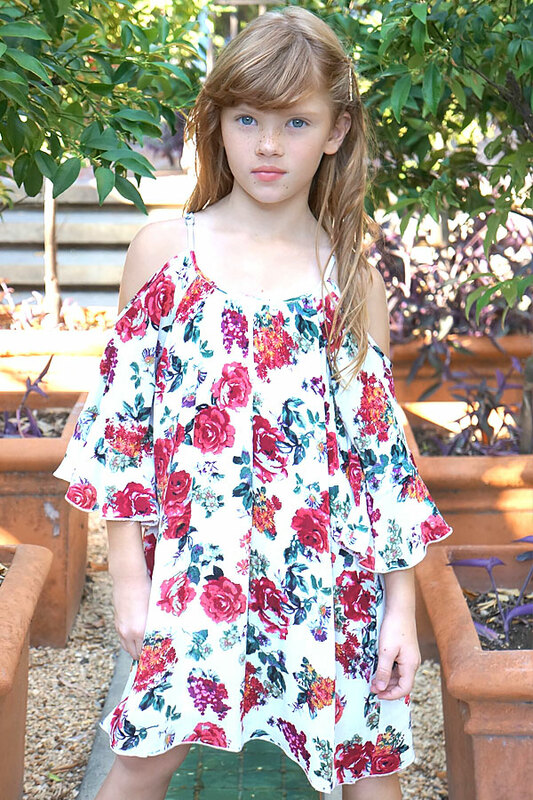 $43.2 - A sweet spring arrival, this floral dress from Truly Me is just in for spring 2018. A beautiful rose print covers this fabric in rich, deep reds. The strappy, wide neckline has shoulder cutouts before finishing with wide long sleeves. Both sleeves finish with a ruffle. The back has a keyhole that is closed with a single button. The casual fit looks great as is or with an added wide belt to define her waist.